Lushed with the scenic beauty of nature, Maryland has become a hotspot for many people who wish to make this place their dream home. Its rapid urbanization has lead to a whopping increase in the number of home buyers in Maryland asking for single-family homes to apartments and anything in between them. Let’s go through the hottest trends in Maryland realty market to know what’s trending down there. The demand for properties, especially multi-family realties has picked up the pace in 2018. There’s an influx of demand for multi-family properties and real estate agents in Maryland are busy filling the gap. Baltimore and Annapolis top the list of places where most families like to settle by owning a home. For home buyers in Maryland, there is a considerable demand for single-family homes in Maryland. Individuals who have moved out to Maryland for a career shift or personal reasons have caused a rise in the number of single-family homes. Baltimore has bagged the United States’ 8th largest growth destination due to rapid urbanization of the area. More and more millennials are migrating to Baltimore, creating more demands for apartments in the region. This is not going to stop anywhere soon. Maryland is a hotspot for realty investment and there is no good time than now to invest in its booming realty market. 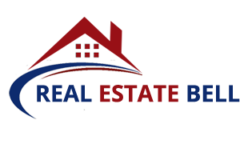 Ask real Estate Bell, one of the most trusted real estate agents in Maryland to buy real estate property in Maryland today!